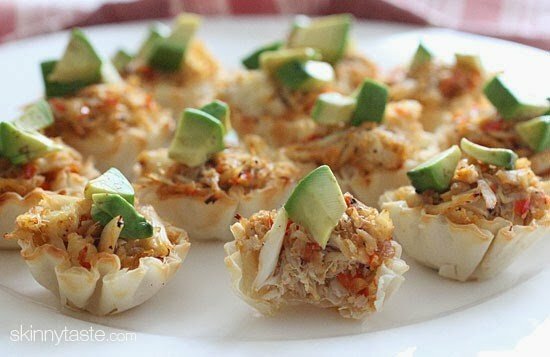 Quick and easy crab and avocado phyllo bites! 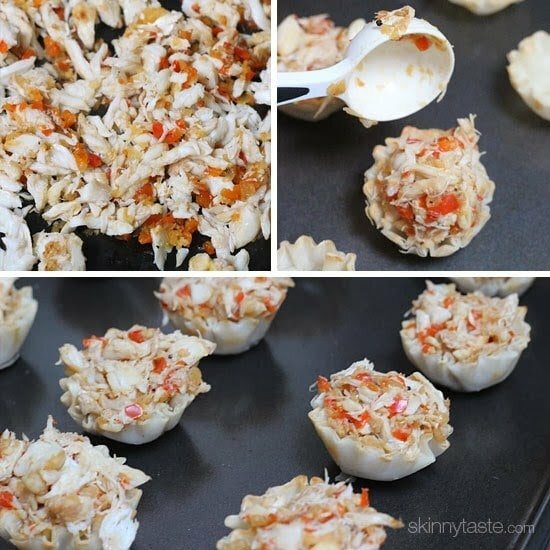 These bite sized appetizers filled with fresh lump crab meat are the perfect finger food treat to any party. When summer hits, I can’t get enough of seafood in my diet. 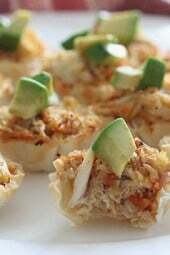 Some of my favorite shellfish and fish appetizers are Baked Shrimp Taquitos, Shrimp Summer Rolls with Peanut Hoisin Dipping Sauce, Smoked Salmon Pinwheels and my latest recipe, Steamed Mussels with Piri Piri. 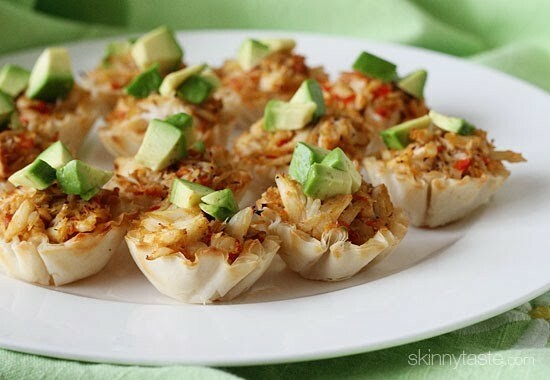 Quick and easy crab and avocado phyllo bites! These bite sized appetizers are the perfect treat whether you’re watching the game or just need some finger foods to munch on. Heat the oil in a saute pan over medium heat. Saute the onion, bell pepper, and garlic until soft. Add the crab meat, salt, and pepper, and cook until the crab has been heated through, about 30 to 60 seconds. Add about 1 heaping tablespoon of the crab filling to each phyllo shell. Arrange the stuffed shells on a baking tray, and bake for 10 minutes.